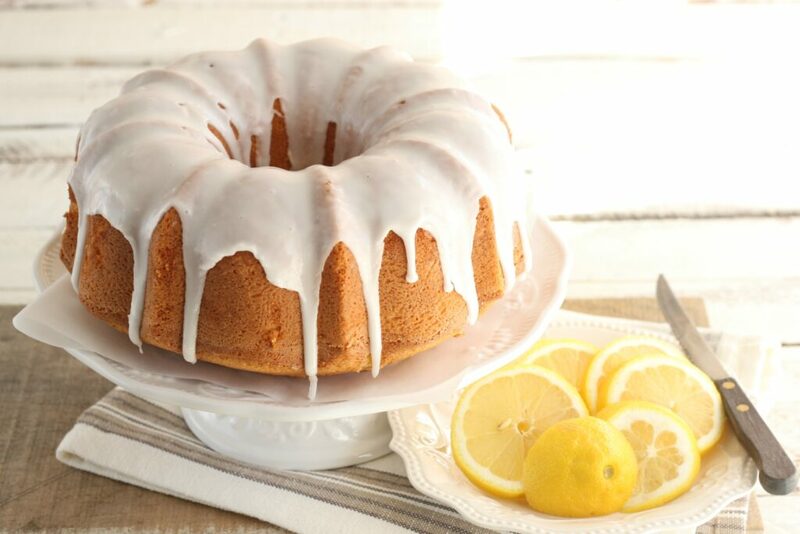 This delicious Lemon Pound Cake is wonderfully moist and flavorful, drizzled with lemon icing. 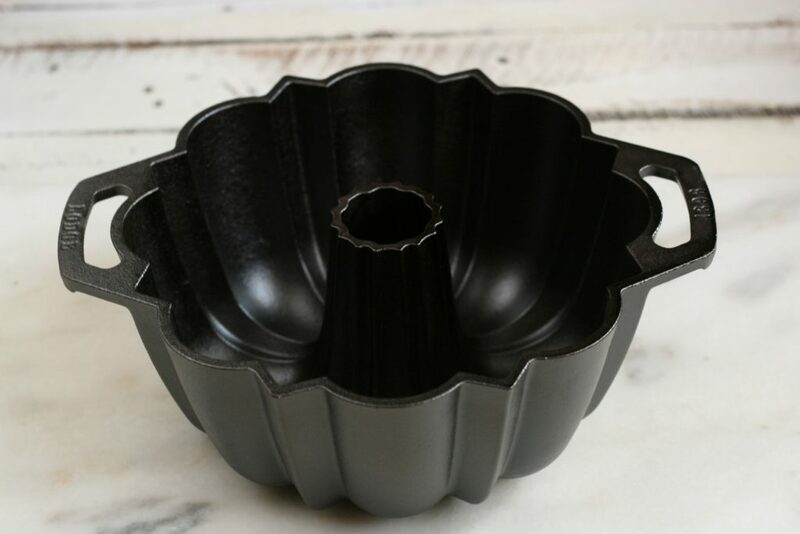 Step 1: Brush vegetable shortening with a pastry brush into a 12-cup Bundt or fluted cake pan. Flour the pan and tap out excess flour. Set aside. Step 2: Separate the eggs, carefully. Do not get any egg yolk into the egg whites or they will not whip. Whip the egg whites with the cream of tartar in a clean, grease free bowl. Whip until you have a fairly stiff peak. Set aside. Step 3: In a large mixing bowl, using either a stand mixer or an electric hand mixer, cream the butter until light and fluffy. Add the sugar gradually, beating thoroughly. Scrape the sides and bottom of the bowl with a rubber spatula occasionally. Step 4: Add the eggs, one at a time. Scrape the bowl again. Add the lemon juice, lemon zest, buttermilk and lemon oil. Combine. Step 5: Sift the flour, salt, and baking soda into a bowl. Gently add the dry mixture to the cake batter. Scrape the bowl again, mixing everything thoroughly. You want the cake batter to be smooth. Step 6: Gently fold the whipped egg whites into the cake batter. Bake in a preheated 325 degree oven for about 1 hour 10 minutes. Or until a toothpick when inserted comes out clean. Remove the cake from the oven and let cool for 10 minutes in the pan. Remove the cake from the pan and let it cool completely on a baking rack. BAKER’S TIP: This lemon cake has pure lemon oil as an ingredient in the recipe. Lemon extract has fillers such as water and alcohol as an ingredient, where as pure lemon oil is nothing more than the extract from lemons. It’s super concentrated, so you only need a very small amount. This is one ingredient you’ll be adding to your pantry permanently. Save yourself time (and aggravation) and order it on Amazon! Lodge Company has released this amazing new cake pan, we’re loving it! Order yourself one today! Remember those cakes your grandmother used to bake? This one is exactly that. An old-fashioned lemon pound cake, straight from my farm kitchen to yours. Brush vegetable shortening with a pastry brush into a 12-cup Bundt cake pan. Flour the pan and tap out excess flour. Set aside. Separate the eggs, carefully. Do not get any egg yolk into the egg whites or they will not whip. Whip the egg whites with the cream of tartar in a clean, grease free bowl. Whip until you have a fairly stiff peak. Set aside. In a large mixing bowl, using either a stand mixer or an electric hand mixer, cream the butter until light and fluffy. Add the sugar gradually, beating thoroughly. Scrape the sides and bottom of the bowl with a rubber spatula occasionally. Add the eggs, one at a time. Scrape the bowl again. Add the lemon juice, lemon zest, buttermilk and lemon oil. Combine. Sift the flour, salt, and baking soda into a bowl. Gently add the dry mixture to the cake batter. Scrape the bowl again, mixing everything thoroughly. You want the cake batter to be smooth. Gently fold the whipped egg whites into the cake batter. Bake in a preheated 325 degree oven for about 1 hour 10 minutes. Or until a toothpick when inserted comes out clean. Remove the cake from the oven and let cool for 10 minutes in the pan. Remove the cake from the pan and let it cool completely on a baking rack. Once cooled, then drizzle with lemon icing. Got the oil! It’s in the oven, for our Oscar viewing get together! I love lemon pound cake!!! These look amazing!!! I love lemon desserts (they are second only to chocolate). This cake looks divine! The addition of the lemon oil must make the lemon powerful — in a most delicious way! YUM! This cake looks so tender and delicious I just can’t wait to try it! This is genuinely one of the most beautiful pound cakes I have ever seen, what beautiful photography!!! Wow. What a beautiful cake! Lemon may just be my favorite cake…or maybe it’s tied with chocolate! 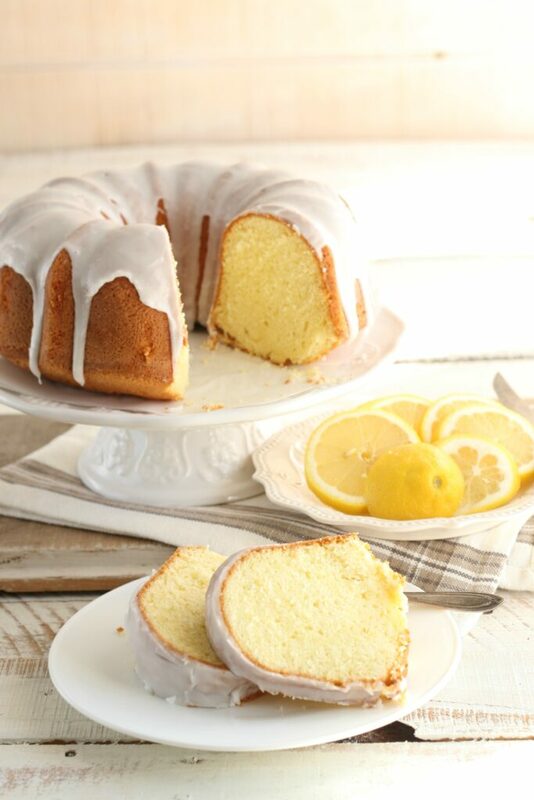 This lemon pound cake looks like dessert perfection! It’s perfectly springy and I’ll bet it would be delicious with a little raspberry coulis too! I may have to serve this for Easter brunch! Love lemon desserts and this classic is on the top of my list! I love a pound cake and this looks totally delicious – the icing looks so good too! Jessica! This is AMAZING!!! I love anything lemon and I am so so excited to make this cake! My mouth is watering right now! I want that cake pan too – I cook pretty much everything in my Lodge cast iron pan so I know I will love this too! Life is GOOD especially if you have lemon pound cake baking in your oven! This looks delicious. I love cooking, i am definitely going to make this next. Thanks for the recipe. oooooh love that pound cake. It really looks delicious. I was at work and now you made me hungry. Wish I could pack it for snacks. Would be amazing especially if a person has to work for 8 hours. 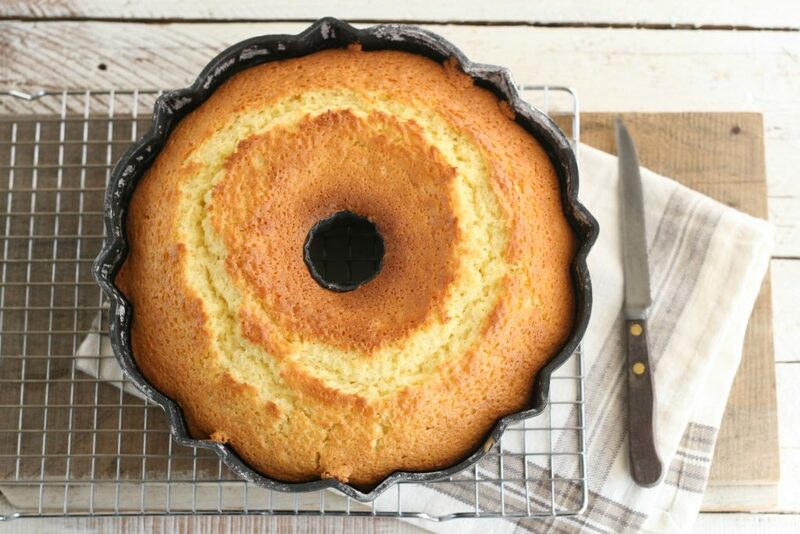 The cake looks so simple but I bet it tastes so delicious, especially that you have used lemon oil and not lemon extract. I’ve heard that the flavour is so much better with the oil as well. OMG this cake! I love anything lemony and this cake will be no exception! loving the shape of the cake! Yumm.! The cake looks so delicious, gonna try this one real soon, let me get the ingredients delivered first. Thoroughly explained recipe step by step. Thanks. Loved the post. I love all things lemon, so I’m sure I’d enjoy this. It looks like a wonderful dessert! I need to make this over the weekend! This is one legit awesome looking cake. I must try it out. It looks very tempting to eat. I only cook and I don’t bake but from the looks of the cake, I’m gonna try that! This looks so delicious! And so refreshing for summer time! I’m going to try making this though I doubt I’ll be able to. I like how lemon juice was added in so the taste would be very refreshing and not too sweet. This look simple to make and thank you for the recipe. Will try this out in the weekends. Yes! This is exactly what my grandma used to bake 🙂 but this looks much better. This kind of cake is my favorite breakfast! Its looking mouthwatering wanna try it! This cake looks so yummy! I’m a sucker for lemon pound cake. Gonna have to make this! I have tried this recipe and it is really delicious. I love to serve it hot with tea, hot chocolate or coffee. 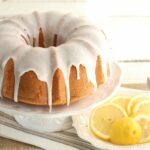 I love the tangy taste of lemon in this Bundt cake. My kids loved it so much that they begged me to make one again the next day. That looks absolutely delicious! It’s been a while since I had a pound cake and a lemon flavored one at that. That looks absolutely delicious! It’s been a while since I last had pound cake and a lemon flavored one at that. I love lemon on anything! Especially cake! This looks so delicious and it’s the perfect summer cake!